HOT NEWS: Do you have a bank account in a foreign country? On February 8, 2011, the Internal Revenue Service announced the 2011 Offshore Voluntary Disclosure Initiative (OVDI). " Marin Law Partners, LLP, a full-service Northern California law firm, is located in nearby Corte Madera, just north of the Golden Gate Bridge, in Marin County. Serving Napa, Petaluma, and all of Marin County including Novato, San Rafael and Mill Valley. The firm brings a variety of unique perspectives to its practice and strives to combine legal talent and training with skill and experience both in the law, and in specialty fields outside the law. The Partners have extensive expertise in such fields as accounting, business management and estate planning, and hold several professional licenses in fields other than law. Mitch Friedman and Thomas G. Velladao are the principal lawyers. Marin estate planning, Marin probate and trust administration, Representation for Marin contractors and businesses. Marin Lawyers dedicated to practicing law in a range of disciplines throughout Marin County including Corte Madera, Novato, San Rafael and Mill Valley. Contact us today for more information! The contents of this web site, and/or any page of this web site, do not constitute legal advice, or an attempt to provide a legal opinion or legal counsel. 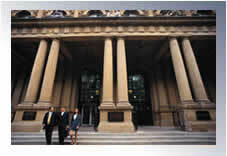 You may be assisted in meeting your particular legal needs through direct consultation with an attorney. This web site is informational and solely for purposes of advertising. While efforts have been made to provide accurate and useful information herein, no warranty, express or implied, is made as to the accuracy or utility of any of the information contained herein. Consult an attorney before taking any action based on any informtation contained on this web site. Contents Copyright � 2003 Marin Law Partners, LLP.